Travel in style with the Linen Weekender Bag. 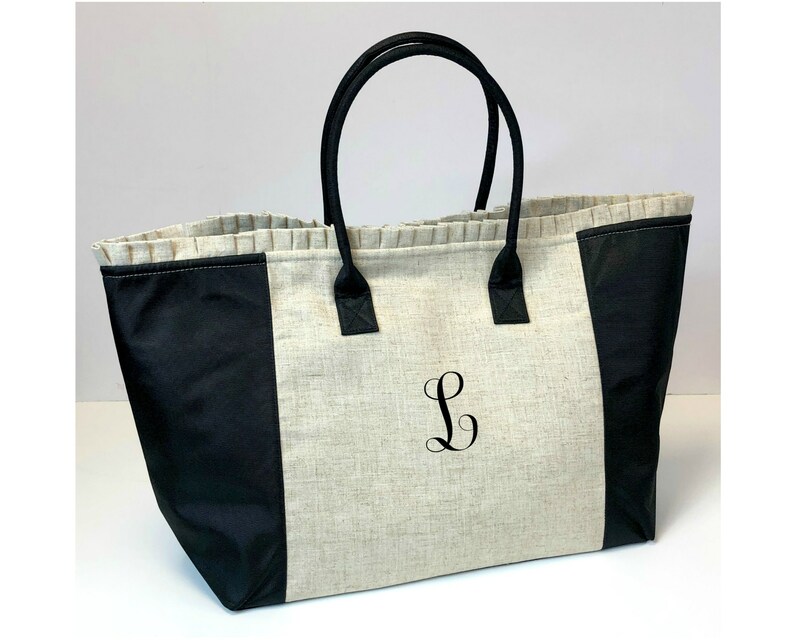 Linen fabric and ruffled trim pair with black moire accents to give this bag a elegant feel. 18.5" x 14" x 7.5"